Shades of Love, an upcoming book written by ten award-winning authors will be released November 7, 2017. Pre-order is available now on Amazon and that includes Amazon Germany. The stories are multicultural; something you might enjoy. There’s a special offer with the pre-order, so if you would like to read it, pre-order now. That’s what I have done. Love knows no boundaries and bridges the gap between creed and culture. Whether prince or pauper, beauty or beast, cupid entangles unsuspecting hearts. From the exchange of a glance to the throes of romance, follow these couples as they discover that love has no limits. Indulge your taste for adventure with ten diverse tales from familiar and exotic parts of the globe. “Shades of Love” is brought to you by a select group of ten award-winning and best-selling writers, whose stories feature couples who close the cultural divide through their love. Jake Bradford and Lana Miller are two strong-willed people who seem to be sworn enemies. That all changes in the blink of an eye when they’re thrown together for an important project. When passion simmers just under the surface, the outcome is not what either of them could have expected, but exactly what they needed. Nursery school teacher Jeanette Adams and athlete Alonzo Castro are immediately attracted to each other. He is aware of his Cuban mother’s disapproval, but it’s not enough to keep him from pursuing the African American beauty. Kofi Danquah and Regina Chu are settlers in a foreign land, but the one thing they have in common is their attraction to each other. As their relationship moves from platonic to passionate, so does their families’ opposition to their love … but Kofi and Regina want what comes naturally and they won’t be denied. Winter Portobello, a coed from a faith-based Italian family falls in love with a fellow student, Samir Chamas, a Lebanese immigrant. Together, Samir and Winter must prove their love to be as strong as the hearts that bind them, despite the cultural and religious differences that threaten to destroy the Chamas family. Sick of feeling like a prisoner in her own home, Shayna moves the small town of Cotton Springs, Texas. She puts the pieces of her life back together and finds romance, but Happily Ever After only lasts until Shayna’s stalker finds her hiding place and turns her dream into a nightmare. Arlene Joy never expected to win a five-day trip to Havana, Cuba. After meeting Arlene at a fiesta, Vincenté Martinez is happy he came home. Baseball star Tomas Vegas loses focus on his game when he meets Adriana Moretti from a tight-knit Italian family. When she falls for the handsome Puerto Rican, their families attempt to pull them apart, which only brings them closer together. After years apart, Liana De Leon and Damian Escobedo meet again in their San Antonio hometown. Liana wants to escape her high-profile life, but coming home isn’t working out the way she planned. Instead of the quiet life she envisions, the city’s most eligible bachelor is set on winning her heart and making all her dreams come true. They were first loves, but tragedy struck before Kerry and Noah could explore their lives further. Years later, can the British politician and the American County singer ever re-connect? Raquel Hood has everything a woman could want; money, beauty, and an entire town under her command. But after meeting Tobias, Raquel realizes that sometimes money ain’t enough. Reana Malori is an Amazon Top 100 bestselling author of sensual and contemporary romance. She weaves stories that pull the reader into her world and to share in her universe, even if only for a short time. Her stories feature women you’d love to hang out with and men who love them with everything they have. Suzette Riddick enjoys writing romance novels with real life situations readers can relate to. She’s an Amazon bestselling author of African American Romance. In 2013, she was nominated for an Emma Award and was a featured author in USA Today ~ Happy Ever After. J.L. Campbell is an award-winning, Jamaican author who writes contemporary romance, romantic suspense, sweet romance, women’s fiction, as well as new and young adult novels. She is a certified editor, who also writes non-fiction. Annamaria Bazzi – Love is an important part of life, not just something to be experienced but also to be read. After thirty-one years of marriage, and still going strong, Annamaria Bazzi believes in the happily ever after. This strong belief transcends into her romance novels—every person deserves his and her own happy ever after. Annamaria writes contemporary romances to bring new love experiences to her readers. She also writes young adult sci-fi/fantasy and dabbles in paranormal short stories. Janae Keyes – Janae Keyes is an American mom, wife, and hopeless romantic living in Europe. She loves to explore various cultures coming together through the magic of love. Residing in a suburb of Brussels, Belgium, with her husband and daughter, Janae loves to share her passion for romance with others. Toye-Lawson Brown is an Amazon bestselling author of multicultural romance novels. In 2014 she was nominated by the B.R.A.B Book Club for Breakout Author of the Year. P.C. Zick – Bestselling and award-winning author, P.C. Zick, creates contemporary romances with a social consciousness. She describes herself as a storyteller no matter what she writes. Strong female leads, handsome and heroic men, and descriptive settings grace more than a dozen published novels. Hebby Roman is a New York traditionally published, small-press published, and Indie published #1 Amazon best-selling author of both historical and contemporary romances. Her book, “Border Heat,” was a Los Angeles Times Book Festival selection. She has been a RONE Finalist three times and in three different categories. Caroline Bell Foster is an internationally bestselling, multi award-winning British author of diverse romantic fiction and named as one of the most influential people in culture & entertainment in the East Midlands, England. Stacy-Deanne (Dee-Anne) is an award-winning author of sensual romantic suspense, contemporary romance, and women’s fiction books. She’s written Amazon Top 100 bestsellers, and her work has been praised and reviewed in USA Today numerously. Stacy’s books are full of passion, thrills, intriguing characters and so much emotion you can’t get enough! If you want something different and unpredictable then definitely check out her work. This is quite a diverse group of romance writers, and a wonderful review of their stories and their experience. Thanks for the wonderful suggestions. 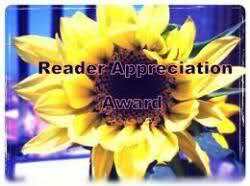 Patricia, thank you again for all your support and for featuring out multicultural boxed set. We appreciate it! Thank you for helping to spread the word. It is appreciated. Thank you for the shout out about our new box set! We’re very excited about the release on November 7. Thank you so much for highlighting our boxes set!! We appreciate it! Many thanks for featuring the set, Pat! Thing you so much for promoting our box set. Greatly appreciated.